At ABC Dental we offer full service family and cosmetic dentistry. Here at ABC Dental, Dr. Nada Zayzafoon & Associates are proud to provide your family with comprehensive dental care that both enhances and improves your family’s smile and oral health. Whether you need routine care or more complex treatments such as dental implants, crowns, or orthodontics, we are confident you will find we are a truly well-rounded family focused dental practice. We believe a team of dedicated professionals is required to provide outstanding dental care and to manage your family’s unique dental needs. Developing a strong relationship with each one of our patients is the best way to provide the treatments that will benefit you the most. We sincerely value the trust you place in our office to handle your oral health care needs, and we will ensure that your family will continue to receive top-quality treatment and exceptional dental care at each and every visit. health. We’re particularly sensitive to the changing needs of children, and we want every experience they have at our office to be a positive one. Our friendly & professional team members know what it takes to encourage and support your child with care and compassion. 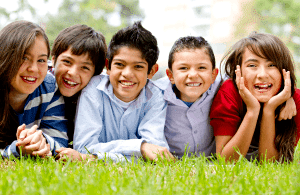 We promise to work hard to ensure they will feel safe and comfortable during every visit. At some point, patients of any age may have dental needs that require special treatment to restore the function and health of a tooth. If you need root canal therapy or need to have a tooth extracted, you can feel confident knowing that your care is in experienced hands. Many of our services are designed to restore complete oral health and also provide cosmetic benefits. Treatments like partial and complete dentures, bridges, and dental implants not only solve the problem of missing teeth, but also dramatically improve your appearance. Do you grind your teeth or wake up with pain in your jaw and neck? If so, you may be experiencing the signs of TMJ, or temporo-mandibular joint disorder. These symptoms can damage your teeth, but they can also be easily managed with a simple customized dental appliance. We believe a healthy smile is a beautiful smile. But there may be times when you feel the need to improve the appearance of your smile to help you look and feel your best. 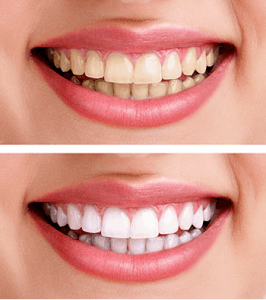 If you’re looking for a quick solution that will refresh and brighten your smile, we offer Pola in-office teeth whitening treatments that will produce a sparkling smile in less than an hour. If crooked teeth or spaces in your teeth are an issue you’d like to correct, we can help transform your smile with Invisalign clear braces — a unique and comfortable alternative to traditional metal braces. At ABC Dental, we don’t believe in one-size-fits-all solutions. You are completely unique, and so are your dental needs. We’ll take the time to get to know you so we can find the treatment that is most appropriate for you. Ready to get started? Please give us a call to arrange your next appointment – our team looks forward to meeting you!